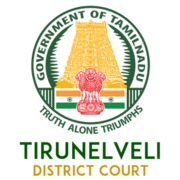 Tirunelveli District Court Recruitment 2019 - Job notification for 25 Office Assistant and Night Watchman Masalchi Posts in Tirunelveli District Court, Tirunelveli, Tamil Nadu. Applications are invited by Tirunelveli District Court, Tamil Nadu on or before 30 Apr 2019 05:45 PM for 25 vacancies. General Turn – Women - Non-Priority.